"The Art of Craftsmanship Revisited: New York"
In December, 2009, Louis Vuitton Moët Hennessy (LVMH) partnered with Parsons The New School for Design on an extensive project titled “The Art of Craftsmanship Revisited: New York”. The project matched Parsons students with New York City artisans in fields ranging from architecture and furniture design to graphic arts and stained glass. 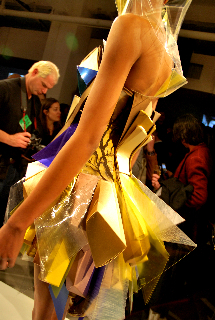 23 teams of Parsons students competed to create original fashion ensembles and short documentary films (see below) that were inspired by and responsive to the work of their artisan. As one of the 23 Artisans to be involved in this project, I created a stained glass panel called “East Village Sunset” while the students observed and video taped my process over several weeks. The privilege was inspiring an uplifting. 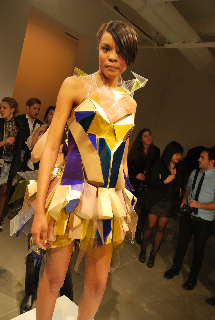 In February 2010, the works were exhibited at New York's Milk Studios during MAC & MILK Fashion Week, and again in June 2010 on Governors Island in the historic homes in Nolan Park. Here's the video that was created by my team for the "Art of Craftsmanship" project. 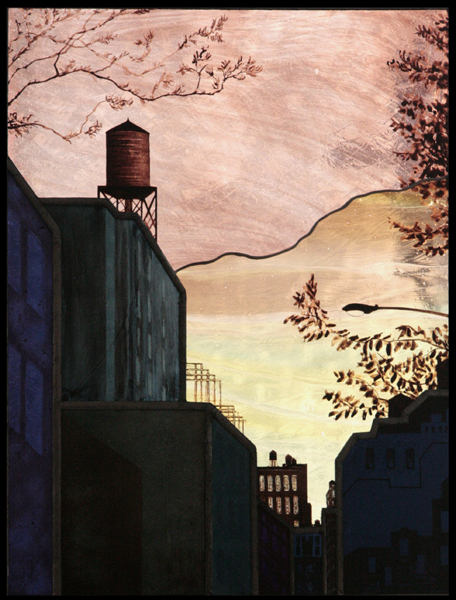 East Village Sunset (16" x 21" ), panel created for the "Art of Craftsmanship" project. 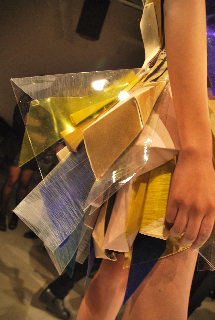 Here's the fashion piece that was created by my team for the "Art of Craftsmanship" project. to the economic and artistic engines of New York.